Commercial Cafeteria Tables 1004SS, don't JUST have to Be TUFF. They are Economical, Pleasing and have Fast Delivery. Let's Add Stainless Seats with Stainless Tops, Style, Function & Economy. 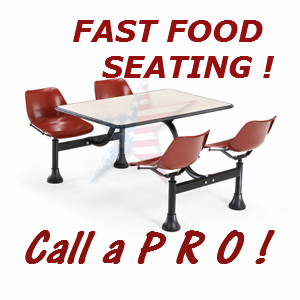 After You've Seen This Page, Click here to view other RUGGED Break Room Seating Suggestions! 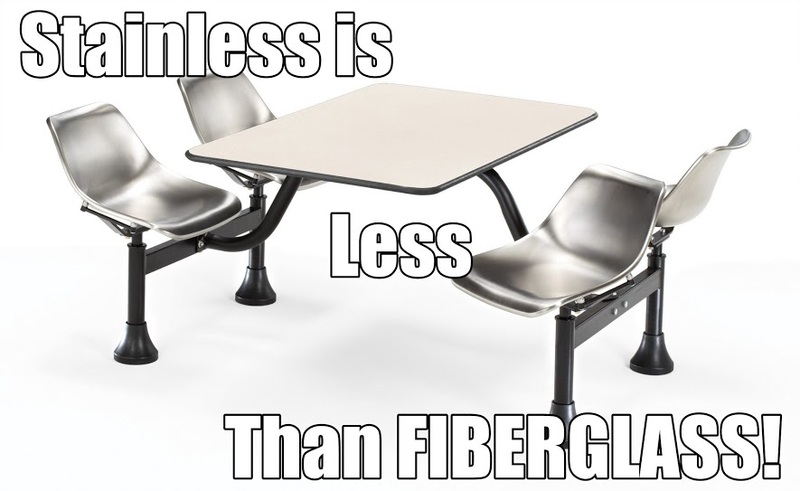 CAFETERIA TABLES 1004SS can be used for Cafeteria Seating in doors or outside. 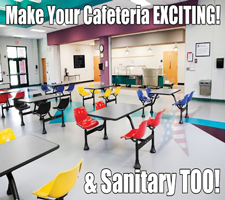 Our Stainless Top works great in lunch rooms, break rooms, playgrounds and Medical Center lunchrooms! 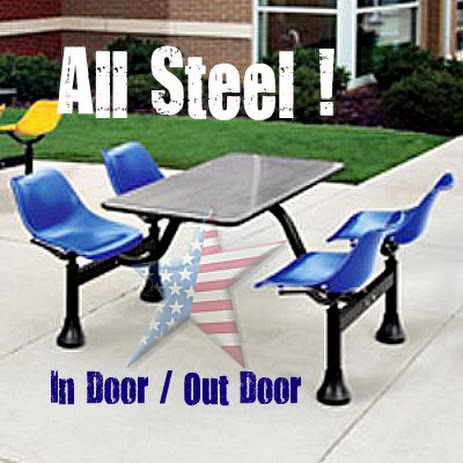 Have FUN and Max or Mix Seat Colors!The table includes 4 attached stainless-steel metal chairs with an auto-return swivel feature for ease of entry and exit. The table and chairs are both waterproof and fireproof and the frame features a scratch-resistant powder-coat paint finish. 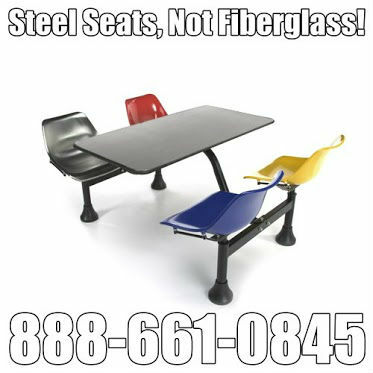 Available in a variety of seat and laminate colors.